I first read this book aged 17 as part of my English literature A levels and I can clearly remembering reading it as I lay on my bed at my grandparents' house. I was struck by the poignancy and it's a story that has stayed with me ever since. 8 years later, I came across this absolutely stunning copy and decided it was time to read it again. All Quiet on the Western Front is set in the trenches of the first world war, following the life of a 19-year-old German soldier fighting for his country and watching his schoolfriends killed off one by one around him. There isn't a plot as such. Instead, it's just an account of life in the trenches. Our narrator, Paul, leaves no room for sentimentality. War is grisly and gruesome, and he does not hold back. His description of injuries and illness are far from romanticised and this really brings home the terrible nature of war. The one thing that has always stuck with me is the theme of empathy. This is not so much a theme as an interpretation that is caused by non-German readers. As an Englishwoman, it's so easy to forget that I'm reading the perspective of "the enemy". I found myself rooting for Paul and his comrades and would realise with a jolt that I wasn't "supposed" to be supporting the other side. It really brings home a view that I've always held: German soldiers were acting under orders, just like our own. They were fighting for their country and for the safety of their loved ones. What was the real difference between the two sides? They were both just ordinary men. Paul himself questions this in an extremely poignant chapter that finds him killing a Frenchman and becoming stuck in No Man's Land with the body. As he looks though the dead man's effects, and learns more about him, he realises that they are both human beings who are being given the same orders. Tellingly, Paul never refers to the other side as "the enemy". 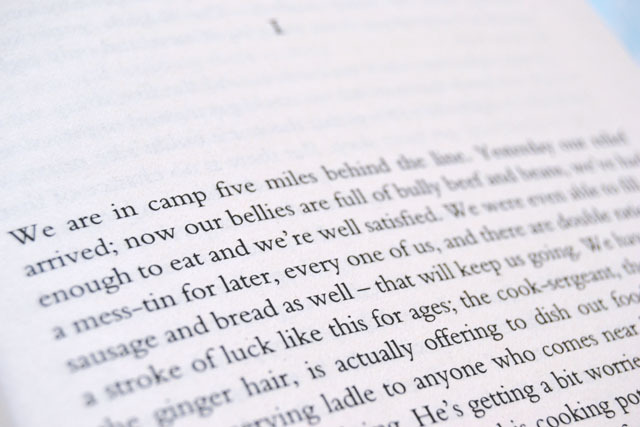 Without giving away any spoilers, the ending is one of the most powerful conclusions to a novel that I have ever read, and it's something that has always stayed with me. There is a sudden change in several different ways, which creates particularly moving closure. 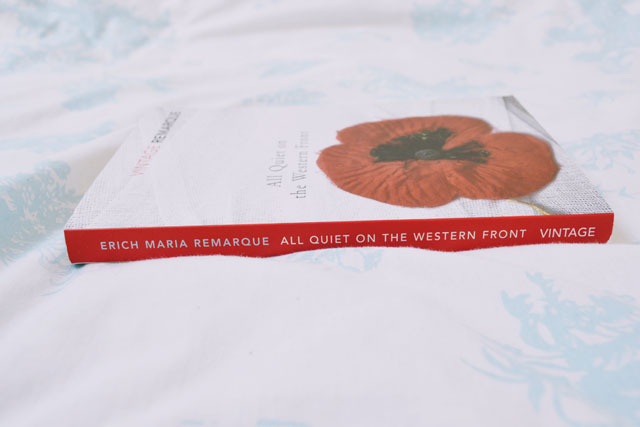 All Quiet on the Western Front is one of the most powerful books I've ever read. It's such an important book to read and reminds us that history should not be repeated. Everyone should read it. 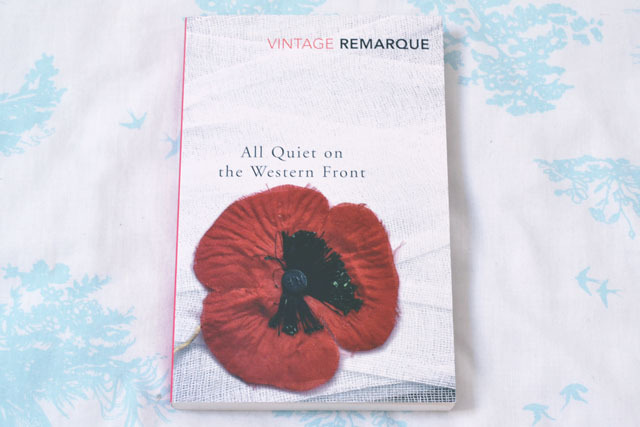 Buy All Quiet on the Western Front here. Affiliate links have been included in this post. It's that whole thing of history being written by the victor. I've always felt a strong sense of empathy towards the German soldiers, especially WWII. They were fighting for Nazism but so many of them were forced into it. If they didn't fight with the Nazis, they and their families would become a target. It must have been such a horrible situation to be involved in. I love books based around this kind of theme, so many brilliant and moving pieces have been written as a result. It helps to keep the event fresh in people's minds, definitely want to read this soon! I recommend it wholeheartedly. It's one of my favourite books- So poignant! Oh that's amazing! I wish I could read that but my German is SO rusty!